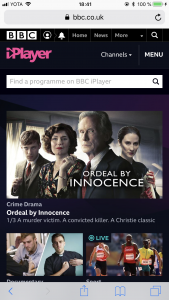 Here are instructions on how to setup FoxyDNS on iPhone/iPad in order to watch BBC iPlayer. Please note: this only works while connected to WiFi. For use with cellular/mobile data, please contact us. For other sites like ITV, Netflix, Sky, and Channel 4, please continue using your VPN, GeoShift, or proxy settings. You can use FoxyDNS with your your VPN, GeoShift, or proxy settings, but not while watching BBC iPlayer. Make sure you are not connected to VPN/proxy if you want to wantch BBC iPlayer. 2. 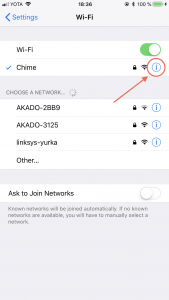 Click on Wi-Fi. Make sure your Mobile Data is turned off. 4. 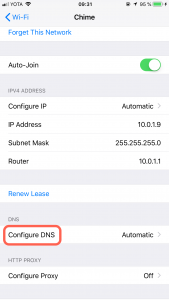 Scroll down to DNS and press Configure DNS. 5. Select Manual, remove all DNS servers addresses by pressing red (-) pictogram next to each DNS server address. There should be no DNS servers addresses specified after that. 6. Press Add Server and enter new FoxyDNS server address 45.76.140.108 and then tap Save. After login with your Username and Password, your IP address is white listed for use with FoxyDNS. 4. 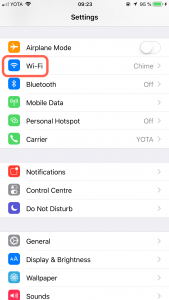 Make sure your Mobile Data is turned off. If your FoxyProxy account expires, FoxyDNS will stop working for you and you won’t be able to navigate the web. You should remove FoxyDNS when that happens. Here is how. 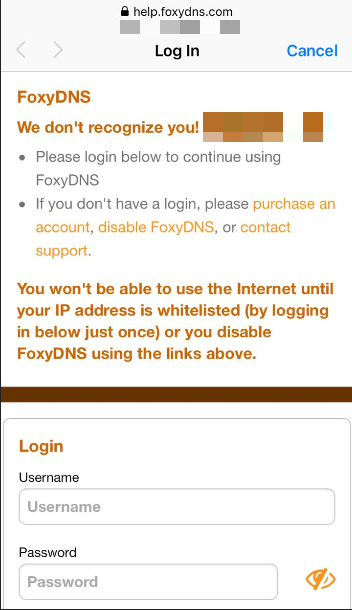 Remove the FoxyDNS entry add DNS of your choice. For example, 8.8.8.8 is GoogleDNS. Other choices are 4.2.2.1 or 1.1.1.1. Or you can just remove the FoxyDNS entry and select Automatic. 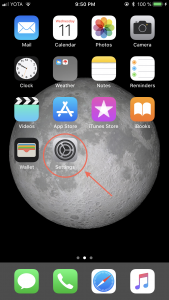 Reboot your iPhone/iPad. After the reboot, FoxyDNS is deactivated.